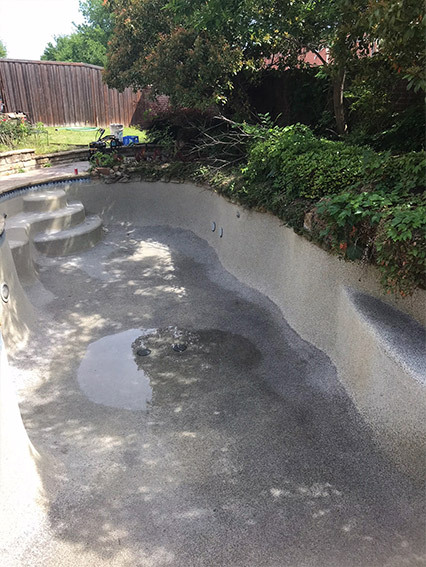 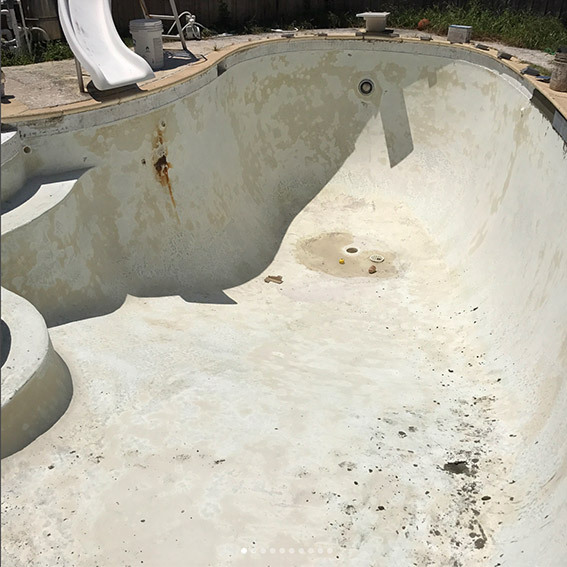 Is your swimming pool looking old and outdated? 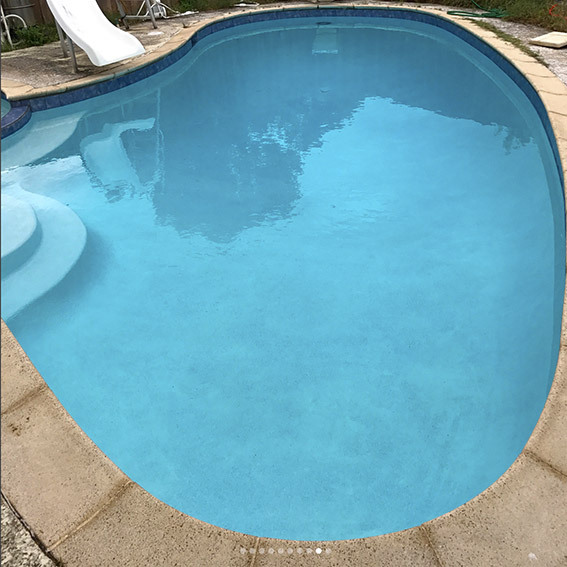 Maybe it’s not modern or as visually pleasing as it was when you first had it installed? 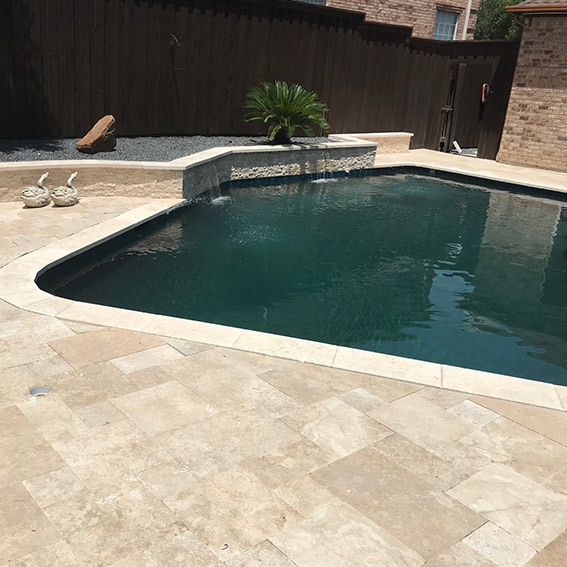 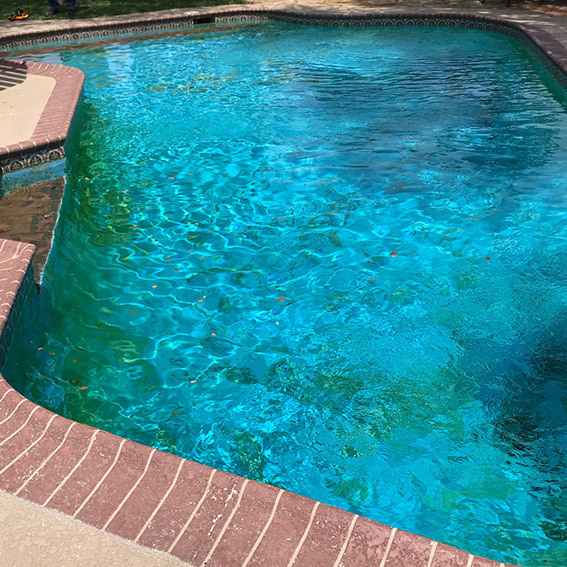 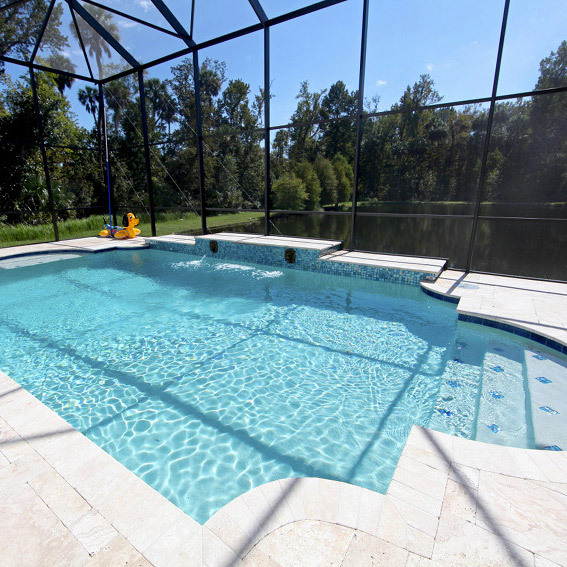 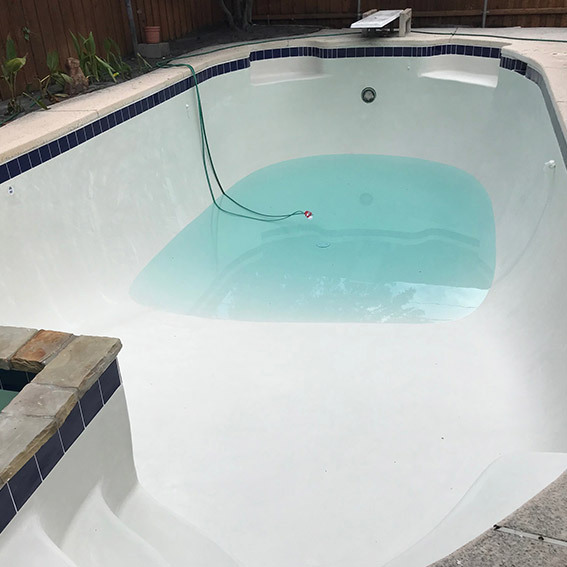 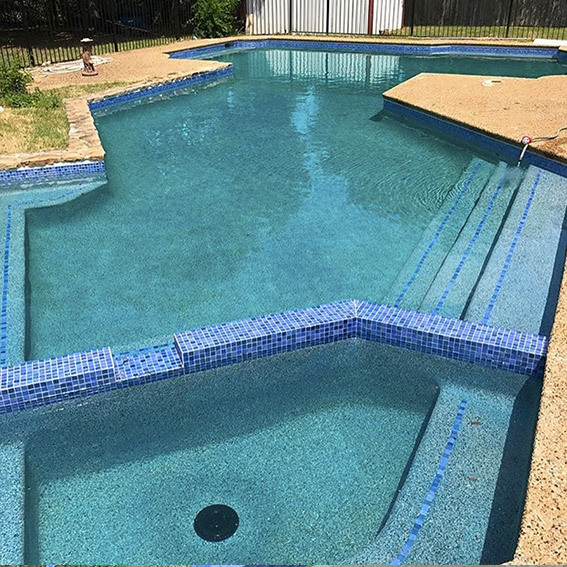 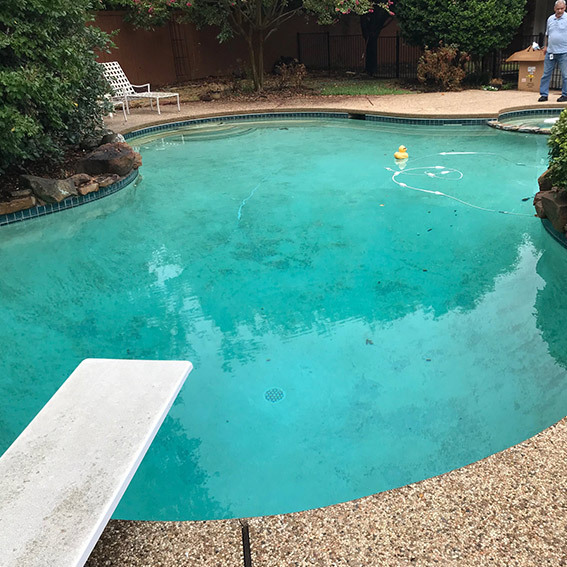 It doesn’t take much to bring it back to life and put it back in the center of attention – with just a few changes our highly talented team can easily help make it the pool of your dreams again. 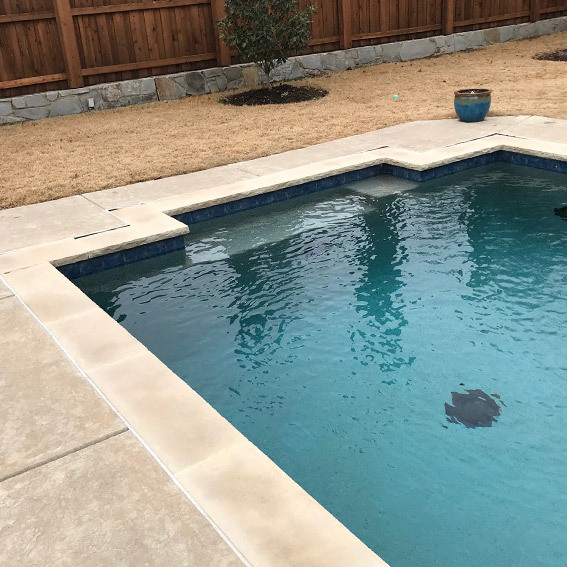 At The Blue Lagoons, we can change the entire appearance of your backyard and give you the luxurious resort at your own home that you’ve always dreamed of. 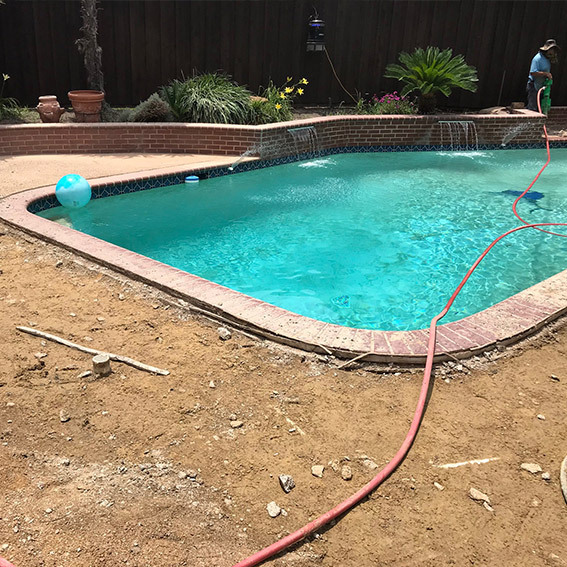 If you’re not sure how to make your backyard flow with a pool, we’ve got you covered. 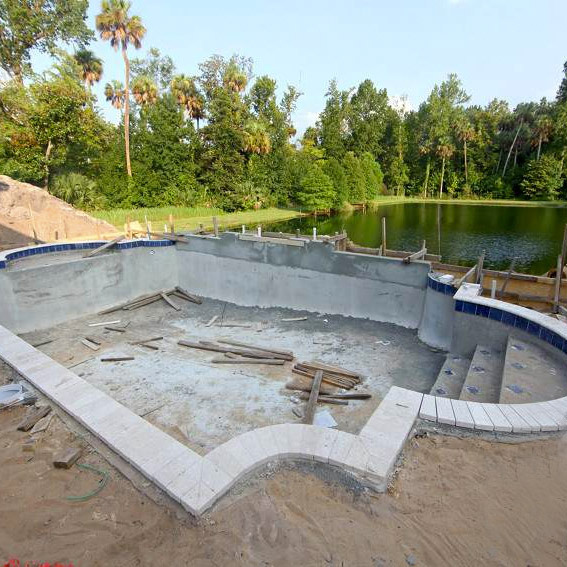 We specialize in creating something beautiful at an affordable price for you. 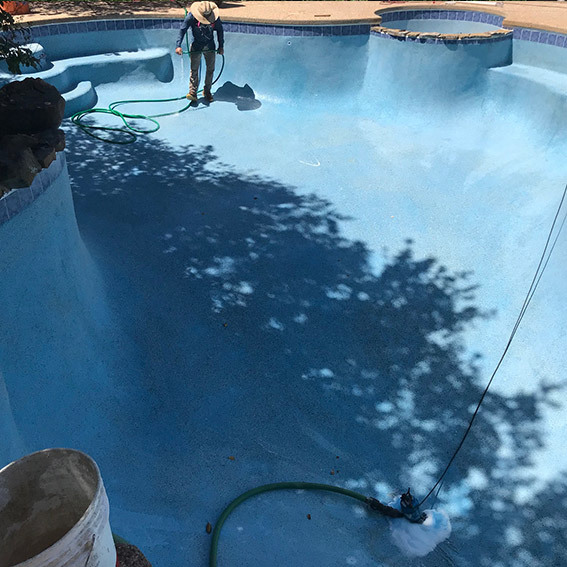 Over the past decade, we’ve serviced hundreds of pools and are familiar with nearly every type of pool problem that you may encounter. 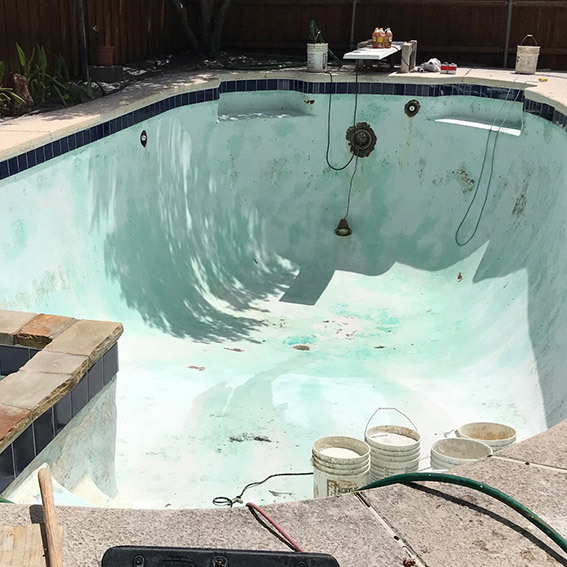 Every step that needs to be taken to fix the issue will be discussed in person, outlined in detail, and planned carefully before the project is started so that you can sit back and relax while we take care of everything. 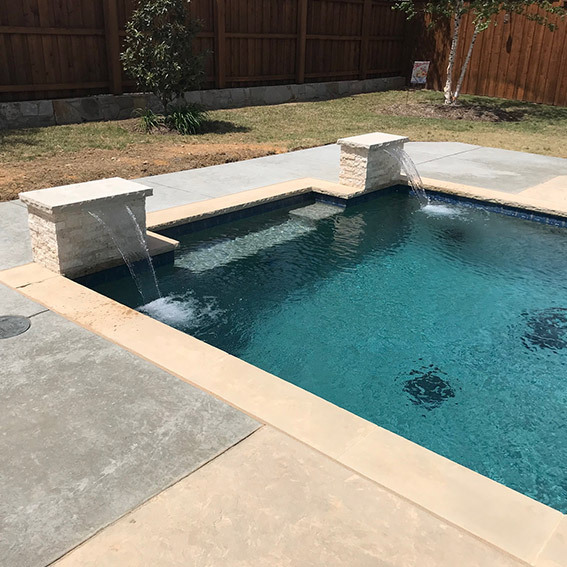 We’re excited to hear more about your specific needs. 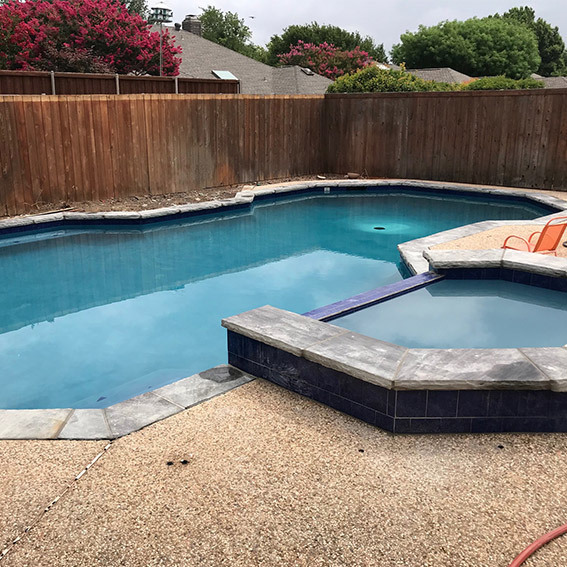 Check out our recent work on this page and contact us to get a free quote! 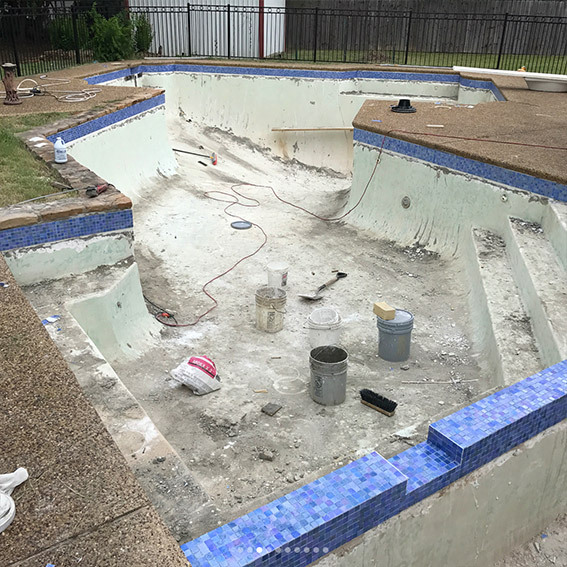 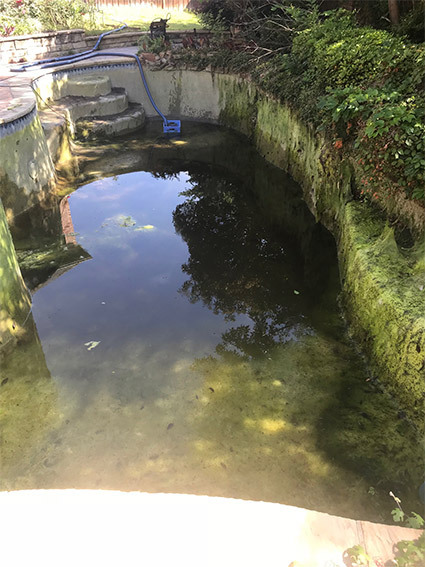 To view the before and after of the pool renovations below, slide the arrows in the middle of the picture left or right. 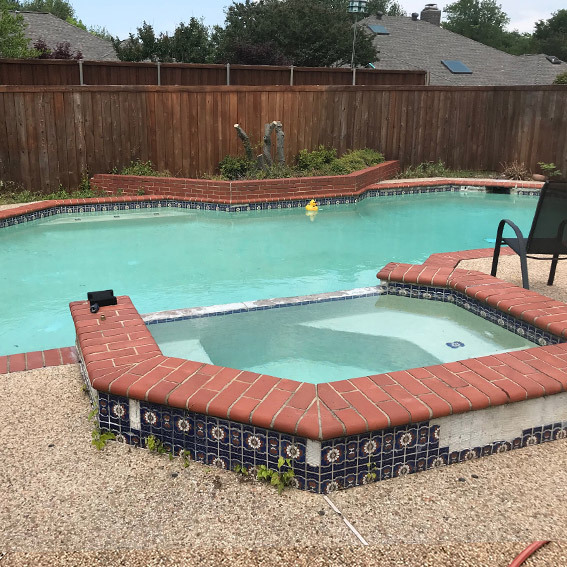 The Blue Lagoons has proudly served DFW for 14 years. 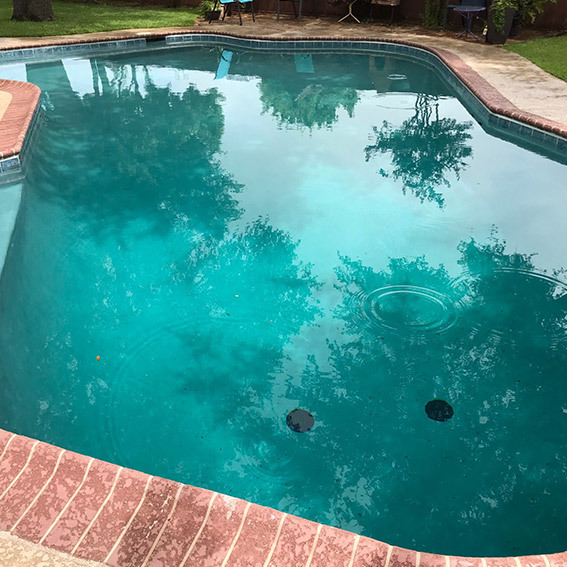 We look forward to serving you with all of your pool needs.